In a metal saucepan, combine milk, sugar, chocolate, and cornstarch over medium heat. Stir until the mixture comes to 240 degrees (on a candy thermometer). Immediately remove from heat, and leave the thermometer in. Take 3 tablespoons of butter and melt in microwave. Mix in the hash and stir, put back in microwave for 30 seconds, and stir again. Add the hash-butter mixture into your chocolate mixture, but do not stir! When the temperature of the fudge drops to 110 degrees, use a big spoon and stir vigorously for at least 7 minutes, or until it starts to get difficult to stir. Spread in a baking dish, 9x13 inches will work fine, and let the fudge cool down. To save on cleanup time, line the bottom of your baking dish with aluminum foil. If your fudge doesn’t turn out right, you probably weren’t using a thermometer or you were too impatient and did not let it cool down. Both are important to making good fudge. You could always use Cannabutter if you do not have hash. 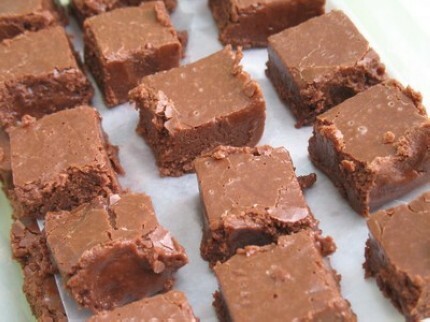 Sounds very testy, I would like to gratitude a lot for sharing a great recipe about Hash fudge here. I must say that have never eat to this kind of recipe before which can be made in chocolate and Heavy Cream. Definitely I will try it at home. In desperate need of essay editing services? Editing and proofreading are two vital steps of essay writing that most students tend to ignore. It’s not your fault for doing so. Writing an essay can be a mentally draining experience, and going through rounds of editing and proofreading after that can be too much to handle. I am an essay editor work for Australia company.